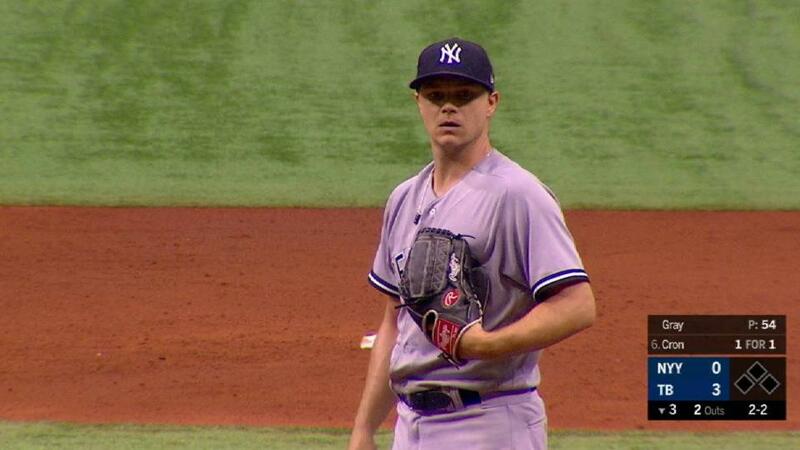 For a second consecutive day, the Bronx Bombers were bedeviled by a bevy of Rays bullpen arms. Five Tampa Bay pitchers, clad in throwback Devil Rays uniforms, combined to shut out the Yankees, 4-0, on Saturday afternoon at Tropicana Field. It was another uncharacteristic offensive night for the Yankees, who came into the game leading the Majors in runs per game (5.23), home runs (122) and slugging percentage (.463). New York has scored just one run in its last 25 innings.